Although Gary's entry did not made it to the top 5 winners, being able to sustain the entry since it entered page 1 last December 10 is a big feat (he joined last November 25) as the domain has zero pagerank and relatively new. This in comparison to everyone else who joined the competition who were more prepared. With that handicap, my hats off to you Gary. The hard work that has been put in and the support of friends in the community also played a big factor for this contest. Thank you everyone. traffic of no less than 200 visitors a day - without any promotion. At its peak point with full promotion, the site hit almost 700 visitors a day. Nearly 20,000 unique visitors since the start of the contest. PR2 home page, more than a dozen PR 3 and 4 deep pages that were created during the contest. Congratulations again to the organizers and winners. For the 3 Pinoys who made it to the list - Rich, Gary, and Alwin - Mabuhay kayo Pinoy SEO! An ideal blog post should have a complement of a photo, video, or audio to make it more lively and interesting to readers. However, if such is not available, one can opt to create a comics strip and add it to your blog right away. A comics strip also allows you to express ideas without having type it in your blog entry. It can also spark your creativity the more you use and do it. I just discovered the site - Make Beliefs Comix - which I used to create my first comic strip below for Busby SEO Test. It has been a bumpy ride as we move up and down the page one rankings several times a day for that contest. Fiera de Manila Inc. and the DigitalFilipino.com Club just collaborated to organize the Social Networking and eBusiness Conference Philippines 2009. This will be held at Hotel Intercontinental, Ayala Avenue, Makati City on April 23 and 24, 2009. We are giving away two (2) delegates pass to this event. I'll be inviting more companies to contribute and increase the number of delegate passes to be given out in the weeks to come. Parties interested can e-mail me at digitalfilipino (at) gmail (dot) com. Those who'll be giving passes, shall be properly recognized here and be cited in one of our weekly updates. 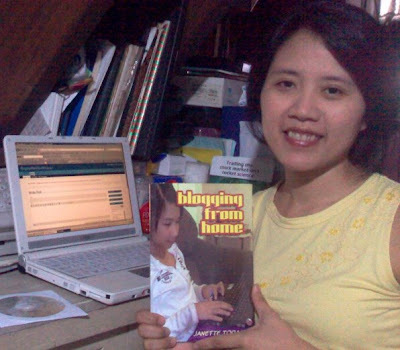 Make a blog entry about the Social Networking and eBusiness Conference Philippines 2009 and cite why you like to attend this two-day event. Your blog post must have a link to Social Networking and eBusiness Conference Philippines 2009 at http://socialnetworkphilippines.blogspot.com. Deadline for submission of entries is on March 31, 2009. We will list and link to all entries that get submitted here. On 1st week of April, Fiera de Manila and passes donors shall review the submissions and picked their most-liked post. The winner of the two passes shall be posted here on or before April 15. 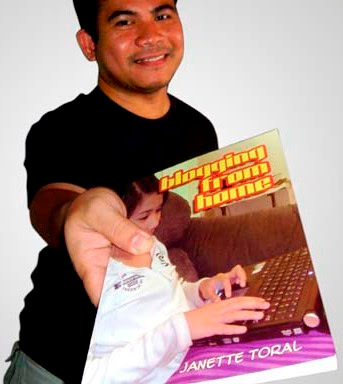 I hope you can join and see you at the Social Networking and eBusiness Conference Philippines 2009! This coming January 30 (Friday), I'll be holding a workshop on Corporate Blogging, Blog Marketing & Advertising at Netopia Internet Cafe, Ground Floor Greenbelt 1, Legaspi Street, Makati City from 9 am to 5 pm. 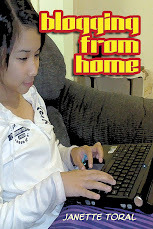 Training materials shall be posted at the Blogging from Home Online Workshop site for online interactive learning purposes. Participants should fill-up the registration form and await slot confirmation. We can only accept a maximum of 20 participants per day. This is part of the SEO, Content Writing, eStore Creation, e-Payments, and Blog Marketing Workshop Series this January 26 to 30. Like many bloggers and web site owners out there, I often get this weird reaction whenever I receive an e-mail asking to swap links. That is partly the reason why the DigitalFilipino.com Club was created. The least I want is be accused of being too selective and created the membership as an entry criteria to be linked. Submit your blog to directories. Organize or join contests or promotions. Write a relevant post or comment and hope it will be re-blogged by another person. Write a guest post published in another blog. Join free banner ad programs like Entrecard. However, if you have done the above and need more help, you can also explore joining or even create your own link exchange program. Why should you join a link exchange program? Once you have started accumulating a good number of blogs and web sites, managing the links can be quite complicated. Inter-linking within your blog network will only get you too far. It will still be helpful to get out of your usual family of websites and circle to reach new audiences. There are paid and free link exchange networks out there that you can explore. 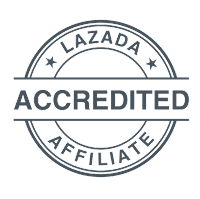 You can also get a freelancer who can do professional link building for a fee. This is usually pegged up to US$30 per hour. Subscribing to a tool or service is possible, the time needed to manage such also has its own cost that must be factored in. Why create your own link exchange program? Creating your own link exchange will give you flexibility to set the rules. This must be followed and updated regularly. Build a relationship with network members as you monitor their sites regularly. You may even earn a fee from it as some who will probably join may not have their own sites that can be used to host links. I had past experiment with links trading such as creating my own webring, Internet directory, and outsourcing directory. The latest I have now is the DigitalFilipino link exchange network. What if you got a lot of links to pass along? I think this is not much of an issue at the moment as participants have their own blogs where they are also willing to post links. If it is a one-way pass-on, then that would a problem but in this case, it isn't. Also, I use my family of sites and blogs as an initial fulfillment point (where the links are given back as soon as commitment is fulfilled). This gets removed as soon as link gets posted in the network. Can I choose which blog will my link appear to? As the whole service is free, there is not much flexibility at the moment. The link exchange network owner, which is me, gets to decide on this for now which is driven on a first-available spot basis. Later on, when the service matures, and there is a software service built or acquired to support it, then there will be more control on where their links will appear. Although there are some free link exchange networks that allows you to choose. Why are links important anyway? For blogs, the number 1 reason would be Technorati. A blog's authority is measured by the number of blogs linking to you. Although to prevent abuse, only the last 6 months is factored in. Search engine ranking is also another reason as those who get linked by credible sites can attain better rankings. However, this can also be abused and that is why the duration of link exchanges in our system is only for 90 days. So participating in a link exchange, even on a small scale, like 10 links, can still help but you should still consider doing the above 6 items I mentioned earlier. Link exchange is only one of the ways to get your blog promoted. Now back to my Busby SEO Test entry. 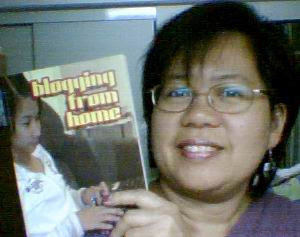 I would like to thank friends and readers who gave their support for the Blogging from Home book project. Testimonials are more than welcome. 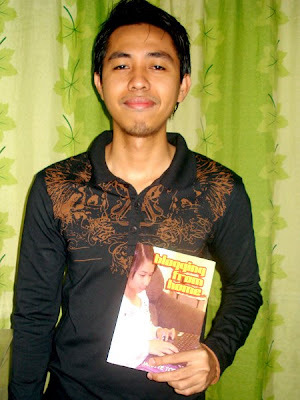 "I'm a fan of DigitalFilipino and been a blogger for more than a year now. When I read this book (every bed time), I found so many insightful facts that made me realize "How to become a professional blogger". I'm giving a thumbs up for this book. 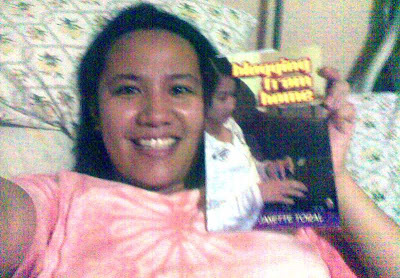 Thank you Janette Toral!" - Isis "Aice" Lahora, Ice9Web. 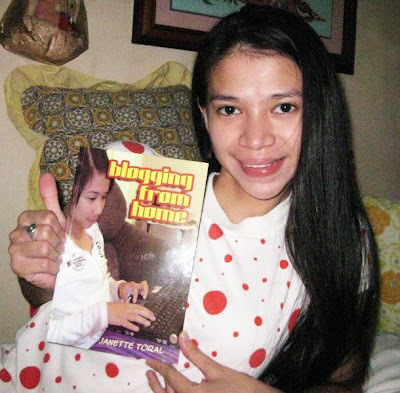 If you like your testimonial to be included here, just e-mail it to me at digitalfilipino (at) gmail (dot) com with your photo holding a copy of the book and will post. Thank you. 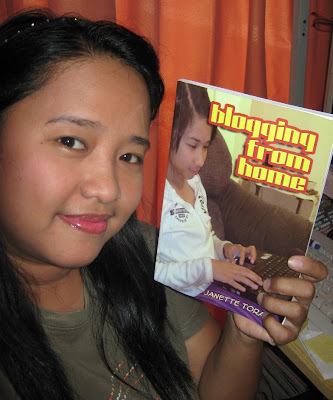 I’ve got a “Blogging from Home” book! 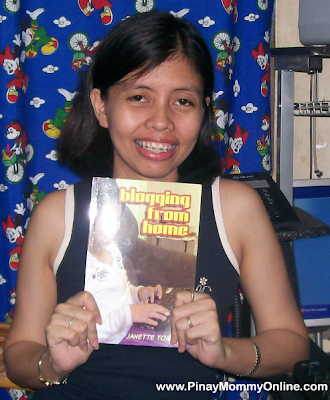 Blogging from Home - The BOOK! 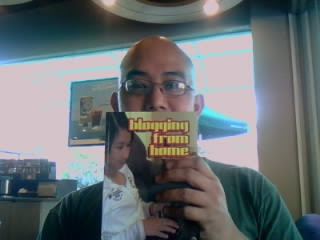 I Got My "Blogging From Home" Book!